I am getting a new miniature schnauzer puppy by the end of the month. It will be about 7 weeks old. Will that be too soon to give Nexgard? And, if not, what dosage should I give? I'm sure it will weigh less than 4 lbs. for the first few weeks/months I have him. 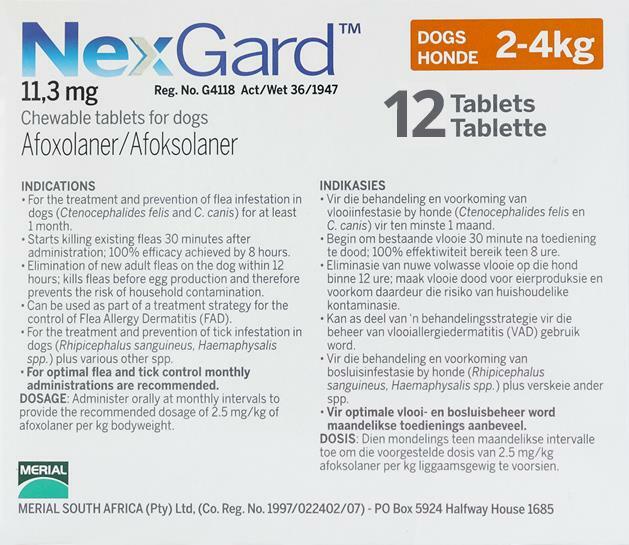 NexGard is safe and effective in dogs and puppies 8 weeks of age or older, weighing 4 lbs or more. They are actually identical producrs. The only difference is packaging..
You can login to your account on our website here: https://www.petbucket.com/Member and edit the shipping address or the auto-delivery, or change your billing details from the menu on the left when you log in. I revisit to buy this for my dogs. Petbucket offers the cheapest price and fastest delivery ever! I love it. Good products, great pricing, and very friendly customer service. Sign up for auto refills!